In May 2016, Unit 42 observed targeted attacks primarily focused on financial institutions and technology organizations within Saudi Arabia. 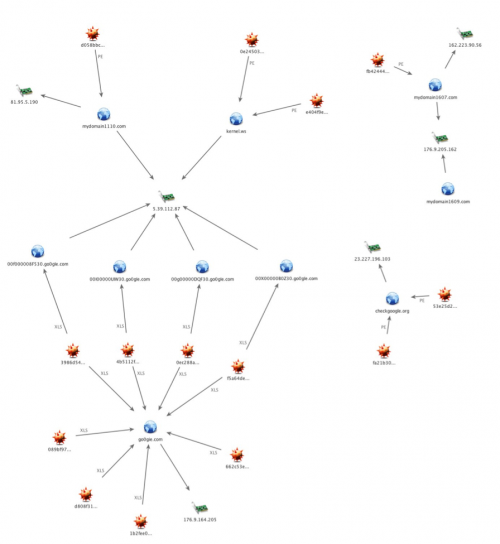 Artifacts identified within the malware samples related to these attacks also suggest the targeting of the defense industry in Saudi Arabia, which appears to be related to an earlier wave of attacks carried out in the fall of 2015. We have grouped these two waves of attacks into a campaign we have named ‘OilRig’. In recent OilRig attacks, the threat actors purport to be legitimate service providers offering service and technical troubleshooting as a social engineering theme in their spear-phishing attacks. Earlier OilRig attacks appear to use fake job offers as a social engineering theme. The campaign appears highly targeted and delivers a backdoor we have called ‘Helminth’. Over the course of the attack campaign, we have observed two different variations of the Helminth backdoor, one written in VBScript and PowerShell that was delivered via a macro within Excel spreadsheets and the other a standalone Windows executable. In May 2016, Unit 42 began researching attacks that used spear-phishing emails with attachments, specifically malicious Excel spreadsheets sent to financial organizations within Saudi Arabia. We observed spear-phishing emails sent between May 4 and May 12 of this year that delivered these malicious Excel spreadsheets, which we are tracking as ‘Clayslide’. ClaySlide documents contain malicious macros that display decoy content within the spreadsheet and installs a variant of a Helminth backdoor. FireEye also reported on these attacks in a May 22 blog post. The macro within Clayslide samples installs the Helminth script, which is composed of a VBScript called ‘update.vbs’ and a PowersShell script called ‘dns.ps1’. The purpose of the VBScript is to send network beacons to its command and control server using HTTP requests and will either download a file or run a batch script provided within the HTTP response. The VBScript also uploads the output of the provided batch scripts to the command and control (C2) server, which provides threat actors a functional remote shell to the system. The PowerShell script has similar capabilities to the VBScript, but instead of using HTTP for communications it uses a series of DNS queries to send and receive data from the server. This communication channel relies on the C2 server responding to DNS queries with IP addresses that the PowerShell script will parse treat as data to construct a batch script to execute on the system. The script specifically looks for the IP address “33.33.x.x” to mark the beginning of the batch script transfer. The script will continue sending additional DNS requests and use the octets of the resolving IP addresses as characters to write to the batch script. The script continues to write data to the batch script until it receives the IP address “35.35.35.35”, which notifies the script to stop saving data to the file and to run the batch script. Please reference the Appendix for more detailed information on the Clayslide delivery documents and the Helminth script variant. Additional samples were discovered in WildFire exhibiting the same DNS-based C2 behavior as the script variant of Helminth; however, many of these samples were found to be Windows executable, instead of the previously observed VBScript and PowerShell combination. These samples were found to contain the same functionality as the previously mentioned Helminth samples. Figure 1 shows the code within the VBScript version of Helminth checking resolving IP addresses for the 35.35.35.35 IP address to stop appending data to a batch script before executing it, while Figure 2 shows the same functionality within the executable version of the Trojan. Please reference the Appendix for additional details on the Helminth executable variant. The Zip archive is encrypted with an unknown password, but we know it contains two files named joboffer.chm and thumb.db. The thumb.db file in the archive has the same name and file size (368128 bytes) as a dropper Trojan we track as ‘HerHer’ (SHA256: fb424443ad3e27ef535574cf7e67fbf9054949c48ec19be0b9ddfbfc733f9b07) that installs a known Helminth executable sample. 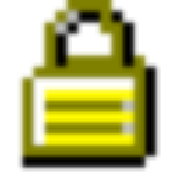 The joboffer.chm file is a compiled HTML file that we believe loads and executes the ‘thumb.db’ file as a payload, but we cannot be absolutely sure as we do not have the password required to extract the files from the archive. 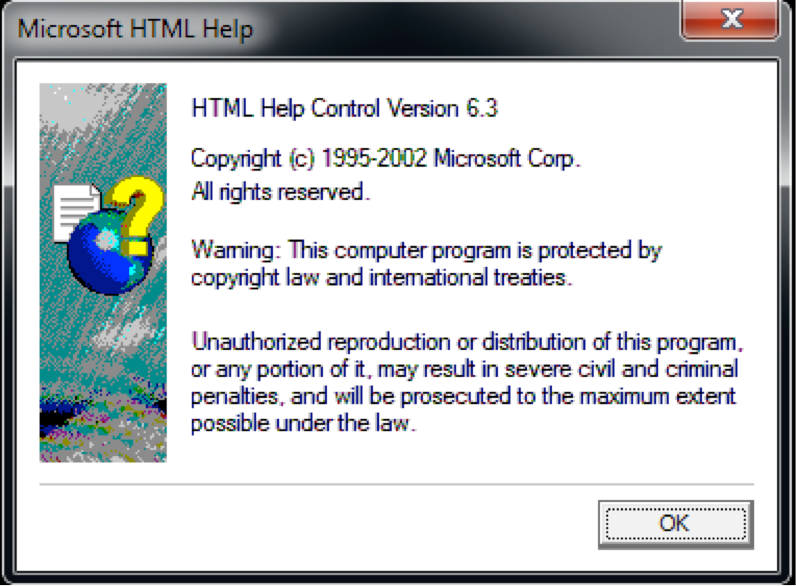 The decoy opened by the Helminth sample installed by ‘thumb.db’ (seen in Figure 3) is a dialog box associated with HTML help, which further strengthens our theory that the joboffer.chm ran the sample. 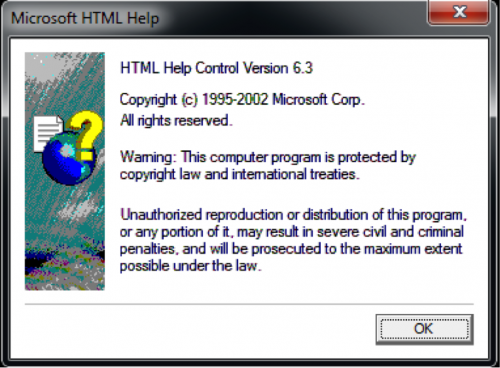 This decoy suggests that the threat actors wanted to open the HTML help dialog after installing the Helminth Trojan, as the joboffer.chm file is effectively a standalone HTML file. We believe that the threat actors employed social engineering to underplay the situation and provide a different legitimate job offer if the victim responded with concerns of malicious activity. The executable variant of Helminth is installed with a dropper Trojan that we are tracking as the HerHer Trojan. This Trojan has two objectives: installing embedded Trojans and displaying either a fake error prompt or a fake “trubleshooting” (the malware author misspelled this word in each sample) utility. Figure 4 is an example of the fake error prompt displayed by the HerHer Trojan. The Helminth executable variant is very similar in functionality to its script-based counterpart, as it also communicates with its C2 server using both HTTP and DNS queries. The major difference in capabilities between the two variants is that the executable version comes with a module that Helminth uses to log keystrokes and the clipboard contents to exfiltrate to the C2 server. Helminth executable samples send artifacts within network beacons to its C2 server that the Trojan refers to as a ‘Group’ and ‘Name’. We extracted the group and name values from the Helminth executable samples to determine their purpose. It appears that the group values hardcoded into the malware is associated with the targeted organization, as several are Saudi Arabian organizations within the telecommunications and defense industries. This suggests that the threat actors are not only focused on financial organizations, as their target set could include other industries as well. The name values hardcoded into the Helminth samples are also interesting, as a majority of the names are related to famous philosophers, such as ‘Plato’ (Greek philosopher), ‘Arasto’ (Persian and Urdu for Greek philosopher Aristotle), and ‘ALAfghani’ (Jamal ad-Din al-Afghani, Islamic Philosopher). Other name values embedded in samples contain other Persian words, such as ‘Nafti’ (نفتی) that translates to ‘oily’, which led us to name this campaign OilRig). Each of these domains, however, resolved to the same IP address of 5.39.112.87. 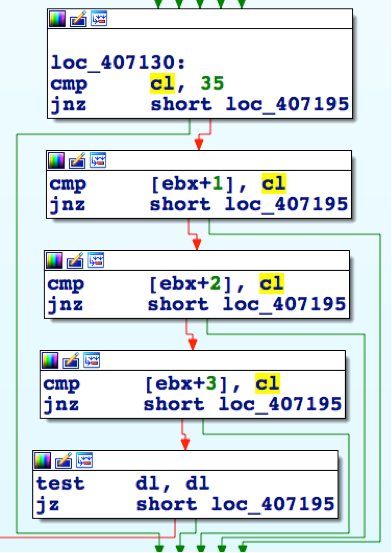 This IP is observed as the resolution for two domains in use by the portable executable variants, kernel[. ]ws and mydomain1110[.]com. Judging by compile timestamps of the executables and last saved timestamps of the weaponized documents, it is likely the adversary is recycling a previously created C2 server at 5.39.112.87 for the newer macro based variant. The other C2 domains and IPs observed in use by the previous portable executable samples did not have shared infrastructure with the newer macro variants, although there is tactical overlap via the naming scheme of the domains. Historical WHOIS data reveals additional findings, potentially alluding to an Iranian-based operator. From a timeline perspective, a new domain was registered almost in consecutive months, beginning in July 2015. Each of the domains’s WHOIS data contained registrant information that was either reused, or was closely related to previously used information. For example, the domains mydomain1607[. ]com and mydomain1609[. ]com used the exact same registrant information. The email address edmundj@chmail[. ]ir and the geolocation of Tehran, Iran, being of note. Kernel[. ]ws and checkgoogle[. ]org used very similar email addresses, andre_serkisian@yahoo[. ]com and andre.serkisian@chmail[. ]ir, respectively. The registrant information for kernel[. ]ws also provided a geolocation of Tehran, IR and the email provider for the address used in checkgoogle[. ]org was the same used for mydomain1607[. ]com and mydomain1609[. ]com, chmail.ir. The mydomain1110[. ]com domain did not appear to reuse any of the previously observed WHOIS data artifacts, but did still give a geolocation of Tehran in addition to the use of an email address linked to other domains thematically similar to the know command and control domains and are potentially related. Although there is heavy use of Iranian-based artifacts within the WHOIS registrant information, it is important to remember that this data is easily falsified. At face value, however, taking into account the registrant information and the use of Persian language in the samples are compelling indicators that the operators may indeed be based out of Iran. While researching the OilRig campaign, we have seen two waves of targeted attacks on Saudi Arabian organizations in which a group of threat actors delivered the Helminth Trojan as a payload. The two waves of attacks used separate variants of the Helminth Trojan, specifically a script and executable variant of the Trojan. The two variants of Helminth use almost identical command and control protocols, which allows the threat actors to maintain consistent infrastructure throughout the campaign to manage the compromised hosts, regardless of the Helminth variant used in the attack. The two variants of Helminth do require different delivery methods, with the script variant relying on an Excel spreadsheet for delivery, while the executable variant is more traditional in the fact that it can be installed without a delivery document. We speculate that the executable variant involves threat actors socially engineering the victim into running the payload, rather than installing the payload as the result of successful exploitation of a vulnerability. The multiple delivery methods suggest this threat group is capable of adapting their procedures to suit the current operation in the overarching campaign. 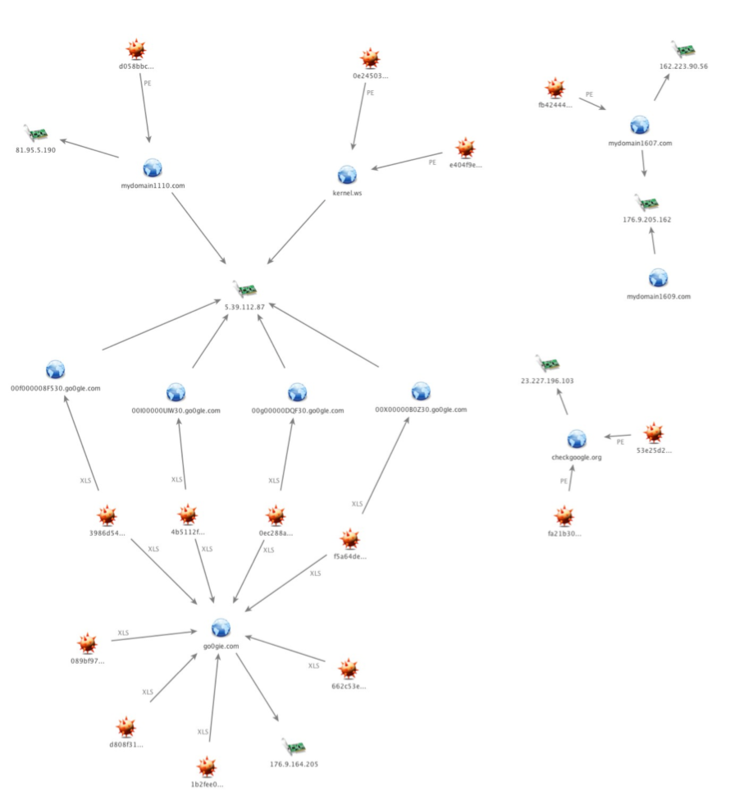 All Helminth C2 domains have DNS signatures created and are identified as malicious in PAN-DB. AutoFocus tags Clayslide, Helminth and HerHerDropper. At first, Clayslide spreadsheets display a worksheet called “Incompatible” that contains instructions for the user to manually enable macros (as seen in Figure 6), as macros are disabled in Excel by default. This is an attempt to trick the user into running the embedded macro to install the Trojan, which does not require any vulnerability exploitation. Figure 6 shows the “Protected View” alert in Excel informing the user that there is an embedded macro that may cause harm to the system. Before the user can enable the macros in accordance with the instructions displayed in the spreadsheet, the user must click the red bar displayed by Protected View and click the “Edit Anyway” button, as seen in 7. After clicking the “Edit Anyway” button, Excel displays another security warning bar alerting that the spreadsheet contains macros, as seen in Figure 8. The “Enable Content” button mentioned within the instructions displayed within the Clayslide spreadsheet is now presented to the user. If the user clicks the “Enable Content” button, the macro hides the “Incompatible” worksheet and makes hidden worksheets visible that displays decoy content to minimize the victim’s suspicions of malicious behavior taking place. Figure 9 below shows the decoy content displayed by macros within a Clayslide sample, specifically showing the status of internal network IP addresses that fit with the service provider social engineering theme used throughout the attack campaign. Figure 9 also shows that the “Incompatible” worksheet is no longer visible, as the decoy content is displayed in a worksheet called “Sheet1”. Palo Alto Networks WildFire observed commands provided by the C2 server for the known Helminth samples. The commands, as seen below, show that the threat actors are attempting to do initial information gathering on the system, including available user accounts, username, computer name, running tasks, services, network services and if remote desktop is enabled. The C2 server will respond to these DNS queries with IP addresses that the script will parse and eventually treat as data to construct a batch script to execute on the system. The script specifically looks for the IP address “33.33.x.x” to mark the beginning of the batch script transfer. Upon receipt of this IP address, the script uses the last two octets of this IP address as a filename for the batch file that it saves to the “tp” folder that was initially created by the macro. Once the batch file name is obtained, the script will continue sending additional DNS requests and use the octets of the resolving IP addresses as characters to write to the batch script. The script continues writing characters to the batch script until it receives the IP address “35.35.35.35” that notifies the script to stop saving data to the file and to run the batch script. Both the update.vbs and dns.ps1 both provide a fully functional remote shell to the actors, which allow the actor to carry out any activities on the compromised system they wish. The executable variant of Helminth is installed with a Trojan that we are tracking as the HerHer Trojan. The HerHer Trojan saves several files to the file system upon execution to install the Helminth Trojan to the system. The “Certificate Managment.lnk” shortcut uses the “Certificate.ico” file for its icon, as seen in Figure 10. The ‘adbmanager.exe’ and ‘adbtray.exe’ files are the actual Helminth Trojan, both of which are the same executable. The reason for two different filenames is currently unknown. The Helminth Trojan requires arguments on the command-line to execute properly (‘q’ in the analyzed sample as seen in the ‘Certificate Managment.lnk’ shortcut), one of which will run the Trojan’s functional code and the other can open a dialog box as a decoy. The Helminth executable variant is able to run batch scripts provided by the C2 server, which is very similar to the script version of this Trojan. The executable variant has one additional capability that is not present in the script version, which involves the ability to log keystrokes via a supplemental keylogger module. The Helminth executable is able to communicate with its C2 server via HTTP and via DNS queries in very similar ways to the Helminth script variant. In fact, the DNS beacons follow the same structure and sequence as the script variant of Helminth discussed in the previous section. The main difference between the beacons sent from the two variants of Helminth is the data included within the beacon, as the script variant does not send any system information within the beacons, whereas the executable version sends system and malware specific information within both the HTTP and DNS beacons. The Trojan will encrypt this data using RC4 and the MD5 hash of “f246b23d-c2d6-45f2-b268-dec30d9adaad” as the key and encode the encrypted data using base64. Figure 11 shows a Helminth HTTP beacon with the Cookie field containing the base64 data. Figure 12 shows an example of the DNS beacons sent from a Helminth executable.